The James Irvine Foundation and the Community Foundation for Monterey County (CFMC) have partnered to strengthen local nonprofit organizations and develop local leaders in an effort to ensure low-income workers in Salinas have the opportunity to advance economically. Ten Salinas-based organizations have been selected to take part in the 18-month project. Nine received $35,000 grants in December 2018 to start their work, for a total of $315,000 granted. Grants will be awarded in 2019 and again in 2020 for a total of $1 million. The project was launched in March 2018 when The James Irvine Foundation selected the CFMC as its local regranting partner. 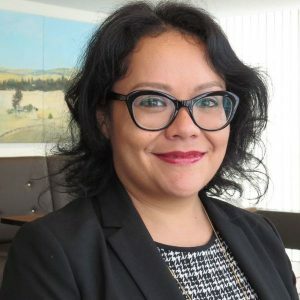 The project is being led by Laurel Lee-Alexander, CFMC’s Vice President of Grants and Programs and Kaki Rusmore, Director of the CFMC’s Center for Nonprofit Excellence. The regranting program is a multi-year (2018-21) pilot program consisting of operating/program support grants, assistance of an organizational coach/mentor for each group throughout the grant period, and periodic convenings of the grantees for peer learning and training opportunities. Baktun 12 Formed in 1997, Baktun 12 is a collective of performance artists based in East Salinas, The Alisal, California. Building Healthy Communities (BHC) This community initiative is grounded in a strong local history of community advocacy and active partnerships between residents, private organizations, and public agencies. Monterey Bay Central Coast Labor Council The agency works to improve the lives of workers, their families, and our community and bring economic justice to the workplace and social justice to the nation. Center for Community Advocacy CCA provides education, orientation and legal support to farm workers and other low-income working families who want to establish neighborhood committees that work to improve housing and health conditions. Ciclovía Ciclovía Provides a safe and inclusive environment where families come together to enjoy accessible recreation, establish a platform that encourages residents to adopt healthier habits and counteract major health issues like diabetes and obesity, positively impacting economic development in Salinas. Communities Organized for Relational Power in Action COPA Develops leadership skills of ordinary people to engage effectively in public life with power to negotiate with public and private sector leaders to change the economic, social, political and cultural pressures on their families. The Epicenter This group empowers at risk and system involved youth ages 16-24 to flourish by connecting them to community resources that provide opportunities for equity and hope in order to improve youth outcomes in Monterey County. Girls Inc. of the Central Coast Girls Inc. inspires all girls to be strong, smart, and bold™ and to respect themselves and the world around them. Motivating Individual Leadership for Public Advancement MILPA Collective cultivates change makers for the next seven generations by improving the health and well-being of the most impacted communities. Mujeres en Accion This group helps low-income women become economically self-sufficient and develop leadership. 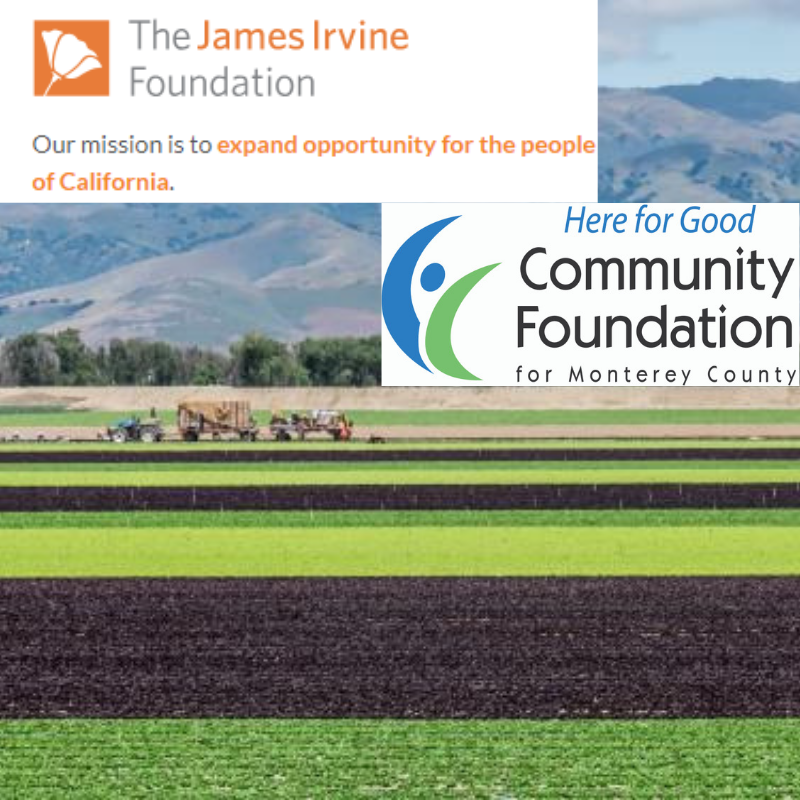 The James Irvine Foundation invested $1 million to be regranted to local nonprofits conducting relevant work in Salinas to build their organizational capacity and an additional $250,000 to support the implementation of the regranting activities, including nonprofit organizational development. The James Irvine Foundation has included Salinas in its Priority Regions grantmaking because it faces challenges shared by the Central Valley and Inland Southern California regions, such as income inequality and low levels of civic participation. Irvine Foundation staff felt that Salinas has many opportunities for learning and impact as well as many assets, including its diversity and its youth. 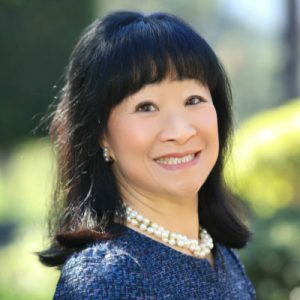 The Irvine Foundation chose to partner with the CFMC because of its long history of supporting local organizations and its commitment to working with local community partners. Learn more about the project in a blog from Don Howard, The Irvine Foundation President and CEO. The mission of the Community Foundation for Monterey County is “to inspire philanthropy and be a catalyst for strengthening communities throughout Monterey County.” The CFMC granted $18.7 million in 2018. The CFMC also supports local nonprofit organizations through the Center for Nonprofit Excellence (CNE). For more information, please call (831) 375-9712, visit www.cfmco.org, or stay connected at www.facebook.com/cfmco.